Put in a comparative historical perspective Indonesia’s economic growth performance has been relatively strong. Yet the recent slowdown in growth is a cause for concern. According to official figures the Indonesian economy grew by only 4.73 per cent in 2015, missing its 2015 GDP forecast of 5.7 per cent. This year Indonesian gross domestic product (GDP) is forecast to grow only 5.1 per cent, far below China and India — and even below Vietnam and the Philippines – while the significant drop in total factory productivity growth following the Asian financial crisis has yet to recover, unlike in Thailand and Malaysia. The external environment is not helping either. Oil and commodity prices continue to fall and the lost revenues from resource exports have contributed to the slowdown of the Indonesia economy. The lackluster export performance is likely to continue this year as Indonesia’s main trade partners, especially China, are also experiencing a slowdown. Given these internal and external problems the government of President Joko Widodo (‘Jokowi’) faces tremendous challenges. There are two aspects that distinguish Jokowi’s first year in office. The first is the heavy use of protectionist measures — at least up until the cabinet reshuffle in August – with the greater attention to infrastructure development being the second. The recent reversal away from protectionism, led by new Indonesia Minister of Trade Thomas Lembong — along with a series of reform packages under the coordination of Darmin Nasution, the new coordinating minister of economics — is a good sign. As for infrastructure, a commendable start was made with the removal of fuel subsidies in January and a plan to allocate a large part of the money saved to infrastructure development. Still, problems remain. Several factors might explain the re-emergence of protectionist measures in Jokowi’s early presidency, a trend that actually started during president Susilo Bambang Yudhoyono’s (SBYs) term, but which was greatly amplified as Jokowi took over. One of the reasons for this was the appreciation of the real exchange rate which made exports more expensive. To compensate for reduced demand the sectors producing traded goods asked for protection. Indonesia’s competitiveness also dropped, especially after the commodity boom ended. China’s entrance into the global trading system has also put heavy pressure on Indonesia’s competitiveness in labour-intensive products such as textiles, clothing, footwear, leather products, and furniture. 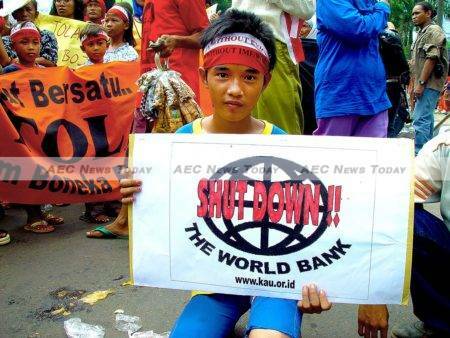 And then there is Indonesia’s bitter experience with the International Monetary Fund (IMF) following the Asian financial crisis. There is a wide belief within the country that the IMF’s prescriptions for Indonesia to deal with the crisis were misplaced and damaged the economy. As a result there is a strong negative sentiment towards international financial institutions. Unfortunately this sentiment extends to anything foreign. On top of all this demonstration effects have also been important. Many emerging East Asian countries used active industrial policies. China for example was helped by state-supported domestic firms to become a ‘leading dragon’. Taiwan too used heavy state-subsidies before it became a major innovator in electronics. Japan and South Korea also shared a similar experience. This may have prompted Indonesia to follow suit, even though history has proven that activist industrial policies were mostly disastrous for Indonesia. All of these factors were enabled by Jokowi’s idiosyncrasies. A successful mayor from the city of Solo, Central Java, and coming from a business background, he understood what the private sector needed. He improved the investment climate there very well before stepping up to become the governor of Jakarta. His challenges were multiplied, but he performed fairly well. Now as the head of a country, the complexity is even greater. To ease the pressure he resorted to populist policies. He has been trapped in a race to populism since his presidential campaign. To meet his promises he assembled a cabinet that was very protectionist in its economic approach. The reshuffle in August was therefore a cause for improved optimism — at least on the economic front. Indonesia Minister of Trade Lembong has repeatedly mentioned the need to undo many protectionist measures, as they ‘always backfire’. The deregulation package (the first of seven reform packages since September), was dominated by reforms proposed by the Ministry of Trade. It is too early to discuss the performance of the new ministers or the effectiveness of the reform packages, but there are a few points worth noting. It is hard to see a systematic framework or evidence of prioritisation in the seven packages. Much of the content is to be commended — for example, the streamlined procedures for exports and imports; easier application processes for permits and licenses; as well as several forms of tax incentives. But instead of a package with a limited, but clear and transformative agenda, the government has offered a long ‘to-do’ list that looks like a smorgasbord. Clearly coordination across ministries and agencies will again become a major concern. There are already signs that the implementation of the reform packages will face many obstacles. For example, responding to protests from domestic industries the minister of trade has already promised to revise two proposed regulation changes that were issued in the first reform package. Another potential problem relates to tax collection. There are many tax incentives and tax allowances listed in the reform packages. While they are needed to improve the business climate and to help the economy in general, they are at odds with the Ministry of Finance’s ambitious tax revenue target. Jokowi has rightly declared that infrastructure is at the top of his priorities. And the policy reforms launched since August are a cause for optimism. Yet, despite the rhetoric, problems remain. The existing model for infrastructure development needs an overhaul. Written by Arianto Patunru, a fellow at the Arndt-Corden Department of Economics and policy engagement coordinator at the Indonesia Project, Crawford School of Public Policy, The Australian National University. This article first appeared on East Asia Forum under a Creative Commons license and is reproduced here with its permission.